Yet another country announces their intention to end the sale of fossil fuel cars. First it was France, then the United Kingdom and now it is China. Bloomberg has reported that the Chinese authorities have been looking a timeline for phasing out the sale of fossil fuel vehicles according to the Vice Minister of Industry and Information Technology, Xin Guobin. On paper this move should be significant. China is one of the World’s largest automobile markets with over 28 million vehicles sold last year. China is in line with an industry that is rapidly improving electric cars and many will see the news as positive. The problem with China’s ban on fossil fuel cars is that it doesn’t do anything to solve the root cause of air pollution in its cities. It grabs headlines but instead China, England and France should be focusing on rethinking how we use our cities. There is a major problem with the environmental logic behind electric car bans. We’re not talking about the (largely inflated) potential environmental impact of the batteries. We’re not referring to the fact that electric cars are only as clean as the energy source they charge from. We’re not even talking about the fact that generally electric cars don’t so much lower carbon emissions as move them somewhere else. We are talking about the fact that China’s ban on fossil fuel cars is not designed to help the environment in any meaningful way. To understand why let’s take a look at the United Kingdom. The Conservative government has consistently missed its own Green targets, has many members who actively deny climate change exists and has consistently breached clean air directives from the EU. Yet this government that has achieved precious little on the environment triumphantly announced a ban of the sale of electric cars by 2040. So in essence a Government that cares little for the Environment has announced a bold sounding policy that will not take effect for over 20 years. By which time the majority of car manufacturers will be focused on electric vehicles anyway. The proposal was a meaningless headline grabber in an attempt to give the British Government some much needed Green credentials. The Conservative Government was quite happy for Gove to put forward the proposal to ban the sale of fossil fuel cars because it grabs positive headlines without actually doing anything. If anybody accuses them of not doing enough to end air pollution they will simply point to the ban. It absolves the government of any responsibility for actually changing things for the better. China’s ban on fossil fuel cars isn’t all that different. You have a Government struggling with severe smog problems scrambling for a solution. 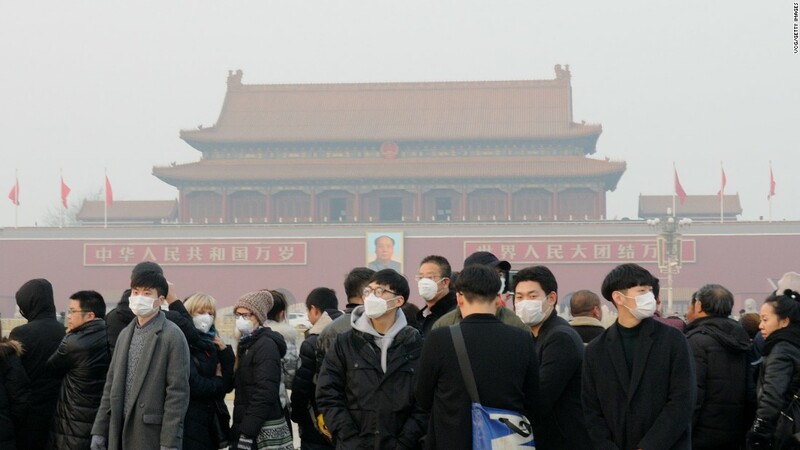 The smog problem in Beijing is one of the worst in the world and if the Chinese government can’t get it under control they will risk facing unrest as poor citizens feel that nothing is being done to help them. Announcing a ban also feeds into the narrative of China’s ecological civilization without getting into specifics of what will be replacing China’s predominantly coal power plants. As an added bonus a ban on the sale of fossil fuel cars would provide a boost to the Chinese electric car industry. The problem with China’s ban on fossil fuel cars is that it does absolutely nothing to resolve the environmental problems facing China. Even once the sale is banned existing fossil fuel cars will still pump exhaust fumes into the air. Coal power plants will continue to choke the skies and people will continue to die in their thousands. The uncomfortable truth is that electric cars are like putting a band aid on severed limb. We need to radically rethink the way we live and move in our cities. The problem lies in the fact that our cities are almost designed to generate pollution. Every day thousands of people get into their cars to drive to work. All going in the same direction. The result is a backlog of cars choking the streets. Crawling at a snail’s pace as they pump exhaust fumes into the skies of our cities. If we replace that with electric cars all we do is move that pollution to the countryside or make it our descendant’s problem in the form of nuclear waste. In either case it doesn’t solve the key problem. There are too many cars on our roads. Cities have already begun to realize this. There has been a long standing congestion charge in London. Other cities like Madrid have gone a step further. They have banned cars in their city centers and increased the parking charges for polluting vehicles. These kind of steps are a stick designed to make owning a car awkward and encourage drivers to take the bus or walk. Other cities have taken a carrot approach. Hamburg is building the Green Network designed to make it possible to walk or cycle through green parks anywhere in the city. In Milan commuters can use public transport for free if they leave their cars at home. Many other cities have embraced bike sharing as a way to move around in the city. Singapore, Beijing, Amsterdam, and many other cities have begun to embrace the trend. Both the carrot and the stick approach share one aim. Solve the problem of air pollution by making cars either undesirable or unnecessary. This eliminates many of the problems we face. 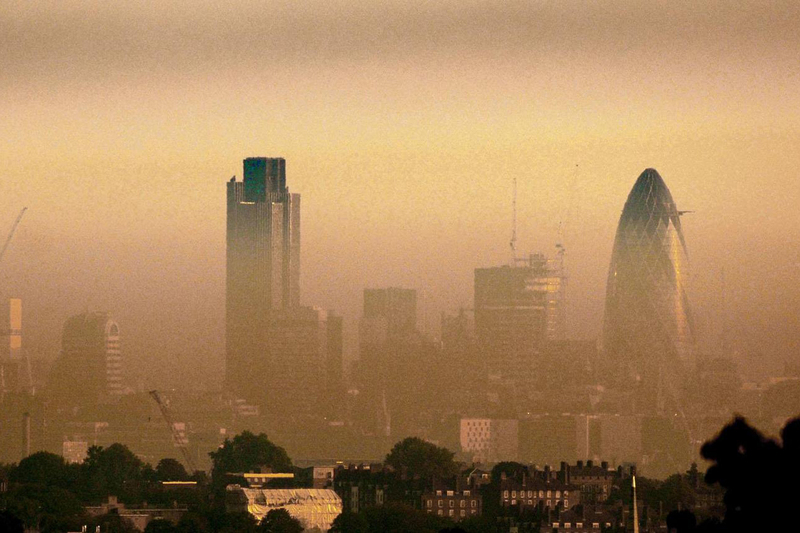 Exhaust fumes will no longer choke our cities, there won’t be any cars to make them. The pollution isn’t simply moved somewhere else, it is eliminated. All of these solutions will do more to combat air pollution than China’s ban on fossil fuel cars. Getting cars out of our cities will help to redefine their use. Instead of spending your commute trapped in traffic jams cars can be optimized for long distance travel and use in isolated rural areas. The impact of fossil fuel vehicles is significantly lower rural areas with a low density population. Instead efforts to improve air quality would need to focus upon moving away from coal power plants and discouraging heating houses with wood or coal fireplaces. Combating air pollution will require a multi-pronged approach and electric cars will play their role but they are not the key to cleaner air. The suggestion that those of us living in cities give up our cars will cause a lot of anger. I am certain that many of you reading this are busy writing angry retorts in the comments section. I would ask you to stop and think for a moment. If you live in a city would losing your car have any significant impact on your life if public transport was improved? Is the ability to drive around in the comfort of your own metal box worth slowly poisoning yourself and everyone around you? Do you really need your car? Deep down I think we all know what the answer is.